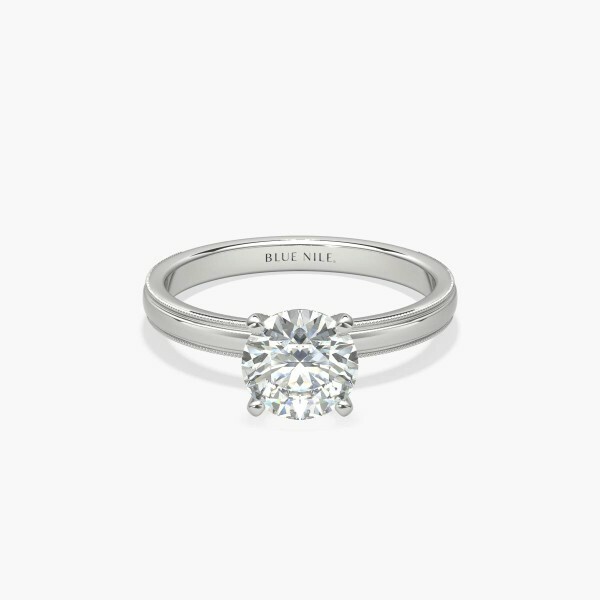 Simply classic, this platinum engagement ring is framed by milgrain edges. The rounded inside edges create a comfortable to wear ring. A six-claw ring head is available upon request.